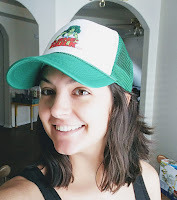 Synopsis (via Goodreads): A young girl imagines a lovely island populated by thousands of birds, where she picnics with her animals, plays games, reads, and collects flowers. You too are welcome on this island, if you know how to dream. Gorgeous, colorful illustrations accompany this gentle yet impactful story that celebrates the imagination of young readers. My Island was mostly disappointing. The synopsis made it sound like we were going to see a girl having adventures, but really it's just a narrator making observations. My Island mentions sharing as a requirement for the island, but doesn't elaborate further. I wish the story had given more details about what happens on the island, and why visitors needed to know how to sing, share, and dream. It was a super quick read, maybe two minutes, and probably not one I will read again. Synopsis (via Goodreads): In this clever book, a green lion is waiting at a red traffic light. While he waits, a series of unexpected events occur, involving such things as lightning, a lilac, library books and lima beans. I thought Red Light, Green Lion offered a unique perspective that children will be able to relate to. The story talks about being prepared on any given day, because you never know what will happen. Our days can be full of surprises, beauty, and kindness, but they can also leave us feeling down and discouraged. I like that this story touches on both possibilities. 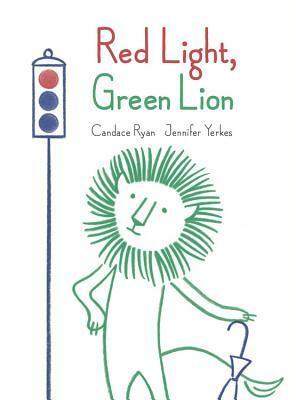 Red Light, Green Lion covers a lot of topics with simple sentences that convey a deeper meaning. "Some days, everything slows down, and we may feel stuck. Those are good times to be still and think." Every day has the potential to be amazing, but some days will be harder than others. Our perspective can play a large role in determining the outcome. 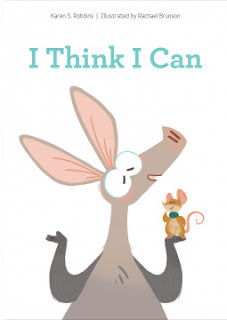 Synopsis (via Goodreads): Designed to be read with a buddy, this dialogue between an aardvark and a mouse contains only kindergarten or first-grade words, making it a unique first reading book. Sentences are short, with lots of repetition for reinforcement and to build reading confidence. Early childhood specialist and former Romper Room teacher "Miss Karen" believes that reading should be easy and fun, and that reading with a buddy brings pleasure to young children. Recalling the classic children's book The Little Engine that Could, this story encourages beginning readers to believe in themselves. They will want to read it over and over again, and will be proud to say "I can read!" I know the synopsis says I Think I Can is supposed to be read with a buddy, but my son is still learning how to read. Reading it on my own felt repetitive, but I do think reading it like a conversation would make it more fun. Instead, they had to listen to me say something and then basically repeat myself for a few pages. Once the mouse started asking different questions, it read more like a story, but then it was over. I would consider buying this for a future read, but it didn't really work reading it solo to my kiddos. Synopsis (via Goodreads): Little Panda startles Big Panda awake inside his den. So Big Panda (who's a little cranky) sets him straight by declaring, "Mine." Then he puts Little Panda outside on a rock and tells him, "Yours." When Little Panda appears at breakfast wanting Big Panda's food, he tells him again, "Mine." Though, to encourage Little Panda to leave, he hands him a kite and says, "Yours." I wasn't a fan of Mine. Yours. I thought the older panda set a bad example for the younger panda. He was selfish, possessive, and uncaring. The little panda asked for food and was given a tiny portion compared to what the larger panda hoarded for himself. I dislike the message it sends to children, because adults (especially parental figures) are supposed to take care of them. The young panda was essentially told to go outside and play so the larger panda didn't have to deal with him. It didn't help that the only two words used were "mine" and "yours" throughout the book. We try not to use mine at our house, and encourage our children to share what they have. My husband and I share with them, and we expect them to share with us and each other. 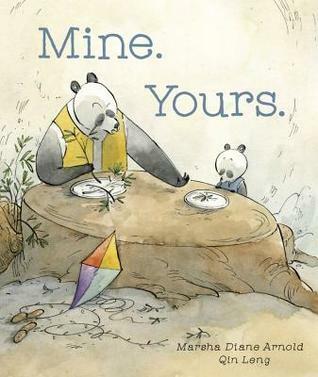 I know that the story is trying to make a point, and eventually the word "ours" is introduced, but animals were getting upset with the little panda for things that were out of his control. His kite was flying around and bumping into people, and they acted like he'd committed some terrible crime. No one tried to help him, or offered a kind word. I understand what Mine. Yours. was trying to accomplish, but I wasn't a fan of how it was done. 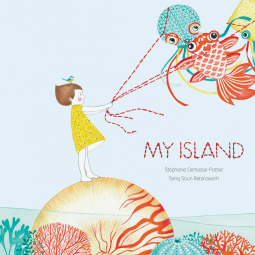 Too bad My Island didn’t deliver because the artwork is so lovely. Same for Mine. Yours. :( Gorgeous artwork but it seems like that one really missed an opportunity to offer up more/better lessons but just didn’t. I love that it was a silly way to share an important message. It was also interesting to see which words my son would guess before turning the page to find out!